An opening essay explores the environmental and economic threats to animal populations and how conservationists are working to slow—and when they can, reverse—the damage. Profiles of each animal accompany the images. 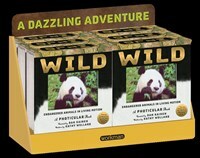 Wild joins four other books in the Photicular series—Safari, Ocean, Polar, and Jungle.